This article is written by Charu Kesi. Charu is a freelance writer, travel photographer, compulsive blogger, wanderer, qualitative researcher, among many other things. 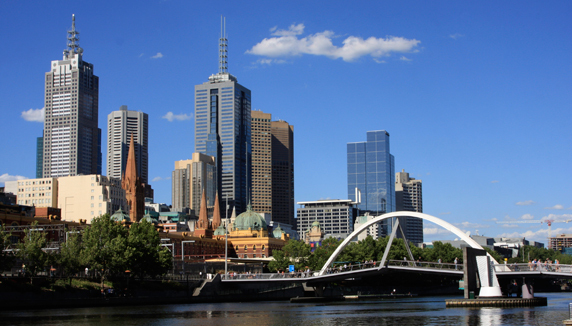 About a decade or so earlier, Melbourne woke up and decided that it had had enough of playing second fiddle to Sydney. In the constant Melbourne-Sydney rivalry, somewhat like that between Mumbai and Delhi, Melbourne kept coming up a poor second. This city did not have anything attention-grabbing, not an Opera House and spectacular harbour, nor was it blessed with proximity to the Great Barrier Reef. So, like the famous Avis ad of the 1960s, which said (in relation to Hertz): “We are only No. 2, so we try harder”, Melbourne tried harder. And last year, it was voted the most livable city in the world in the Economist Intelligence Unit survey (with stiff competition from Vienna and Vancouver). While it may not have any iconic landmarks, it does have oodles of charm that makes you slowly fall in love with the city.